Super Savings! 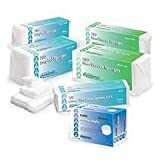 Up to 37% off on Cotton Rolls at Dental Training for Missions. Top brands include Alba Health, Tidi, Dynarex, JP Solutions, BND- Richmond Company, 3D Dental, Richmond Dental, Richmond, Crosstex, & Dental Deluxe. Hurry! Limited time offers. Offers valid only while supplies last. 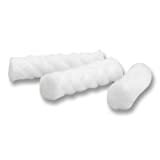 Dental Cotton Rolls 2000 Per Box Dental Deluxe Brand.